In each of your feet and both of your ankles, there are over 20 different bones, over 30 different joints and hundreds of muscles, tendons and ligaments. Is it any wonder that foot pain is common? 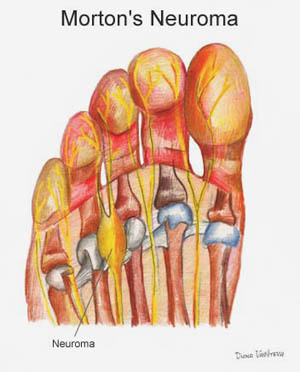 Morton’s neuroma is sometimes referred to as Morton’s metatarsalgia, because a true tumor is not believed to be present. 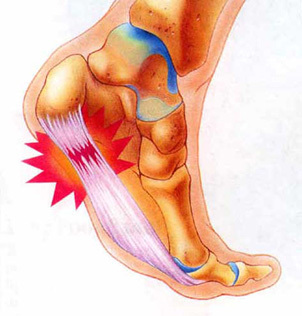 The term neuroma is typically used to refer to a tumor. But, in this condition, a bundle of tissue fibers presses on nerve tissues. Basically, it is a pinched nerve.